Open office layouts have been the trend for a majority of companies in the U.S. for several years, but survey after survey shows employees just aren’t happy. Why? While many report collaboration improves with an open office plan, those same workers are failing to find private, uninterrupted space for focus — and that leads to lower productivity. So how can business owners and managers help create a space that increases collaboration and keeps productivity high? Here are 15 ideas for designing a flexible space where employees thrive. Long tables with tightly packed workers are not conducive to better working habits or conditions. 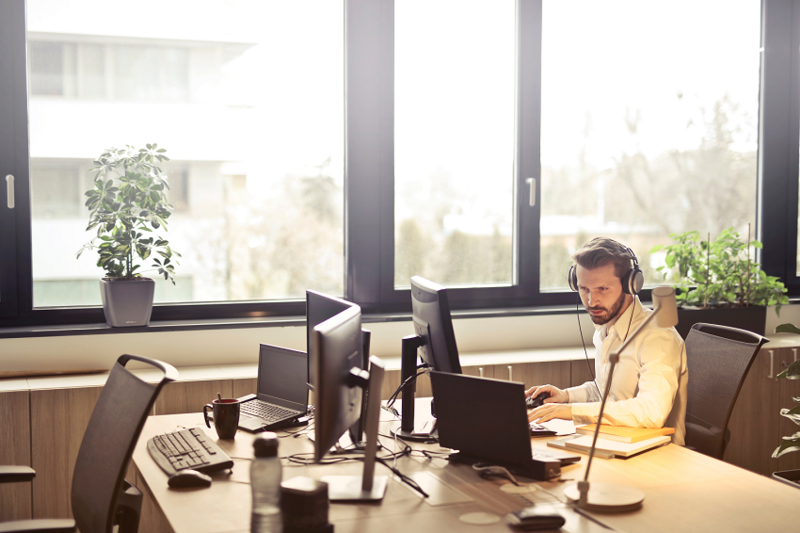 While decreasing personal space may seem like the best way to save money, local noise pollution from conversations, nervous fingers tapping, and even *ick* coughing, cause employees to lose focus. Less focus means less work finished, which costs a company more money in the end. Look for two-, three-, or four-person workstations instead. Certain areas in the office should steer clear of workspaces — the area beside bathrooms, near kitchens and breakrooms, and around elevators or stairs (hello, loud shoes) are just a few places that shouldn’t be crowded with places for employees to work. No one wants to hear a refrigerator open and close a hundred times a day or hear the bathroom habits of a coworker. Adding a room specifically for quiet, uninterrupted work hours can up both employee focus and decrease distractions. 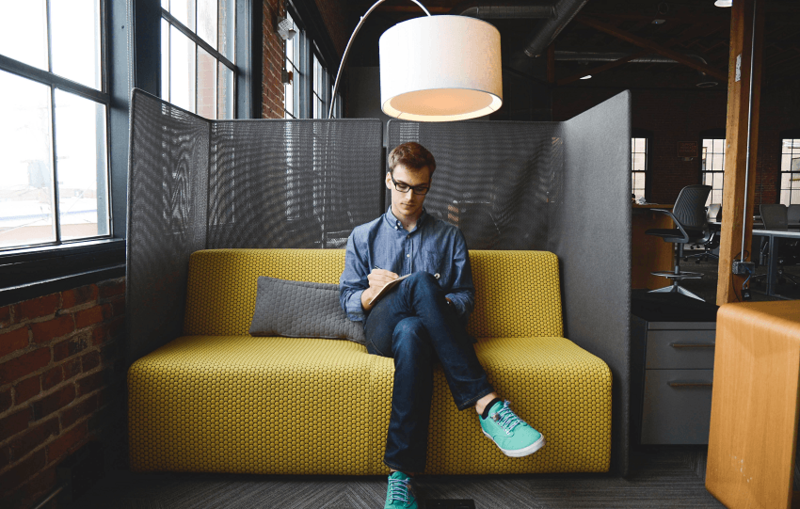 When other employees know a room is off limits for chatting, phone calls, music, eating, etc., those using the space are free to focus without an enclosed, private office. With open offices, phone calls in common areas are often too loud, distracting, and lack privacy that may be needed in certain situations. Providing designated call rooms with sound absorbing panels can allow sales staff and other employees to focus on the call at hand, without the worry of disturbing other employees. Sound is often reported as being the most disruptive distraction in an open office. Instead of hard tiles, consider flooring that absorbs footsteps. In areas for conversations and more intense collaboration, add in sound absorbing panels or walls that dampen or eliminate sounds from other areas. Plants not only liven up an office area, they can actually provide health benefits. Choose plants that do well indoors while creating oxygen and are low on allergen lists — and skip ones that might have fragrances. Scents can often cause headaches, so be mindful of that when choosing indoor greenery. And don’t pick fake plants. No one wants to sit around staying at plastic leaves all day. When designing or remodeling a space, check into options for bringing in more natural light. Cost-saving fluorescent bulbs may be the office norm, but sunlight is proven to help with moods naturally. Be sure to consider adequate light filtering shades for harsher times of day. Cubicles have always had the distinct advantage for business owners of not being nailed down. However, opt for more modern options such as high-back sofas that can be pulled together, couches that are comfortable and movable, and fully ergonomic chairs with height, arm, back, and reclining adjustments. Some employees will have too much paperwork to cart around, so be sure employees have adequate storage that can be secured as needed. When setting up areas, consider the temperature. 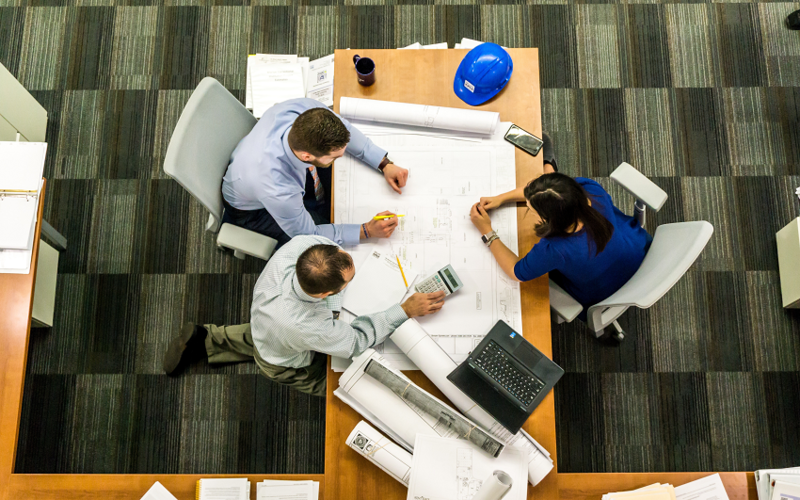 Large spaces may be hotter or colder depending on the season, and a ceiling fan (or two) appropriate for the size of the space can help keep employees focused on work and not on indoor climate. Most fans have a switch to change air direction in hot or cold weather, so keep that in mind when the weather changes and have those set correctly. With people being naturally territorial, it can be helpful to establish some areas for reservations and some as free-for-alls. Implement an easy sign-up system and put up clear signs as to when areas are free or closed. Sometimes, employees need to concentrate, even when in common areas or collaborative zones. Consider providing small “status” indicators for employees to use in their space. This could be something as simple as a sticker on the outside of a laptop or a small flag at his or her table space that shows “busy” and “free” times. From rockers to chairs to sofas and lounges, putting a variety of well-made, ergonomic seats is key. With the range of body heights and sizes, what is comfortable for one employee may not be for another, so seats that adjust are a sound idea. Ask employees about preferences, and even consider hiring a consultant so everyone has optimal options while avoiding spine, neck, and wrist problems. If your office building allows it, create a space with clean, well-kept furniture outside. A maintained garden with chairs and benches can provide just the right mental break from being indoors that employees need. Umbrellas and shaded areas are a good idea to minimize direct sun exposure and increase screen visibility outdoors. Plan ways to keep equipment cords tidy, whether that is with nearby outlets, organizers, or even in-furniture connections. This will not only reduce the stress of what to do with corded tech but also reduce the risk of an employee tripping over wires. 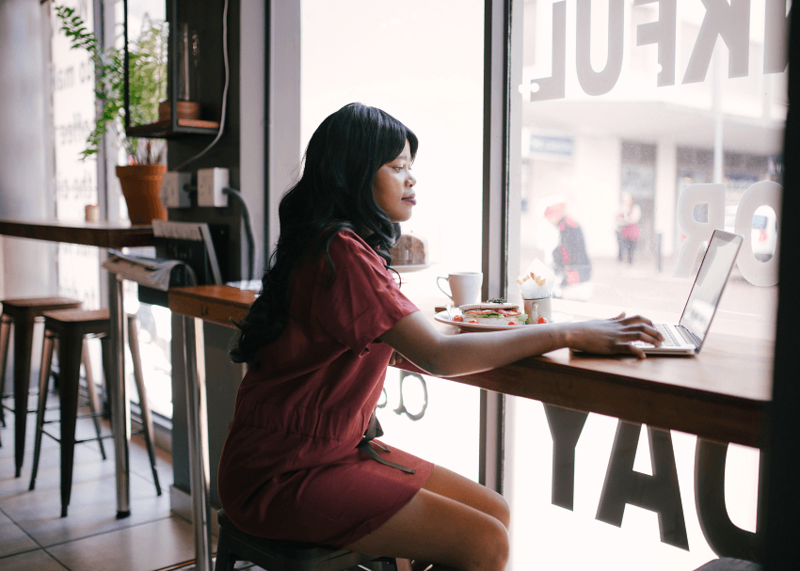 With setting up a flexible office space, employees should be able to work at the office, at the coffee shop down the street, or even at home. Establishing days of no meetings or ground rules for the amount of time expected for in-office work can allow employees a little more of the feeling of control they may need to be more productive. Open offices have been all the rage, but don’t get caught up in a floor plan that just doesn’t work. Transitioning to a more flexible floor plan can aid in keeping your employees happy — and your bottom line happier, too.